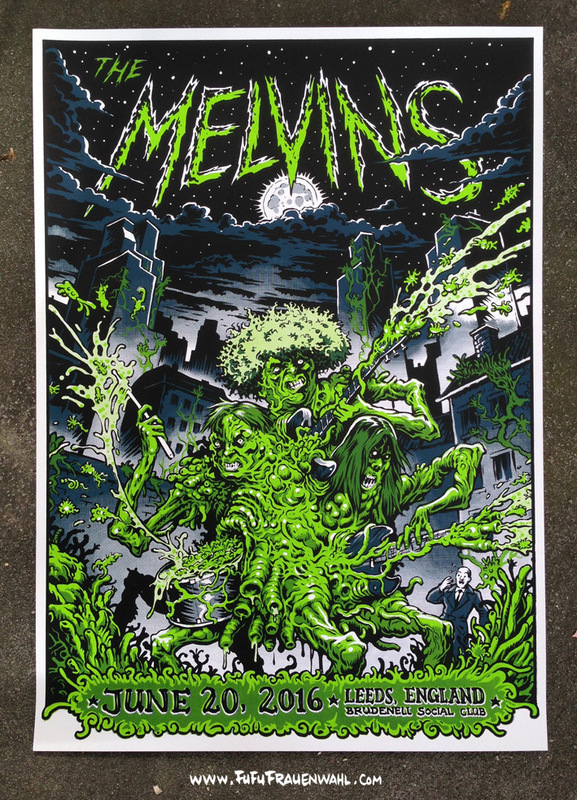 This is a limited edition screenprint gig poster for The Melvins. Category: prints. Tags: melvins, poster, screenprint.